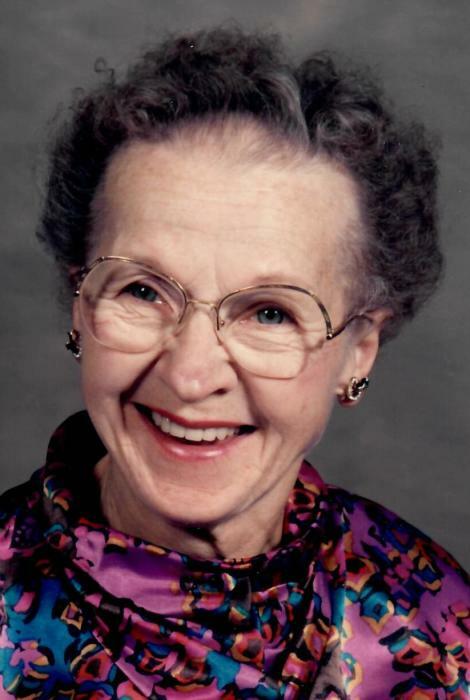 H. Bernadine Walsh, 96, of Rock Island, died Tuesday, April 2, 2019 at her home. A funeral service will be 11 am Monday at Christ Apostolic Church, Davenport. Visitation will be from 2-5 pm Sunday at Wheelan-Pressly Funeral Home and Crematory, Milan. Burial will be at Calvary Cemetery, Rock Island. Bernadine was born on August 9, 1922 in Vinton, Iowa, a daughter of Roy L. and Marian Meekans Baker. She married William T. Walsh on November 27, 1941 in Burlington, Iowa. He preceded her in death in 1981. Bernadine worked for the Iowa Ordinance Plant in Burlington, Iowa when she was younger. After raising her children, she worked as a mail carrier in Southwest Rock Island and was a professional house keeper until her early 70’s. In 2015, Bernadine was baptized in Jesus’ name and became a member of Christ Apostolic Church, Davenport. She was formerly a very active member of St. Ambrose Catholic Church, Milan, where she served as president of the Blue Cross Medical Mission for many years. Bernadine was a girl scout leader in her earlier years. She was also a member of the Daughters of American Revolution and St. Patrick’s Day Society. Bernadine enjoyed reading, arts and crafts, puzzles, gardening, vacationing with family and was an avid baker. Those left to cherish her memory include her daughters, Patricia and Linda Walsh, both of Rock Island; grandchildren, Katrina (Kevin) Collister, Mesa, Ariz., Jody (Traci) Walsh, Robert (Dawn) Walsh and Jeffrey (Vicki) Walsh, all of Sherrard and Matthew (Marlena) Walsh, Aledo; and many great-grandchildren. She was preceded in death by her husband, parents, sons Michael and Thomas Walsh and sister, Dorothy Andes.